Whaling in Antarctic waters went back to the early nineteenth century, but at that time there were enough whales in the northern hemisphere to discourage the longer and more hazardous voyage south. Northern whale populations began to fall and alternative products such as mineral oils emerged, but the demand for baleen from right whales—mainly for the “whalebone” used in corsets—kept the quest alive. In 1873 a German expedition explored the Antarctic Peninsula but found only rorqual whales. Over the summer of 1892–93 a Scottish expedition explored the northwest Weddell Sea but found no right whales among the many it saw. 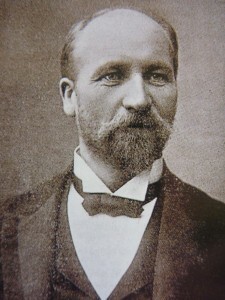 A Norwegian expedition under Carl Anton Larsen worked the same area that summer, but with little success in terms of whaling. Larsen returned the next summer and had more luck with seals than whales, although his voyage was notable because he found petrified wood at Cape Seymour—the first fossils dicovered on Antarctica. Larsen named Foyn Land (now the Foyn Coast) in 1893 after Svend Foyn, the Norwegian inventor of the explosive harpoon, who went on to mount the new device on the steam-driven catchers that had replaced rowing boats. These innovations revolutionized the whaling industry and made Foyn rich. In 1893, when Bull failed to raise finance in Melbourne, he went to Norway to see Foyn. 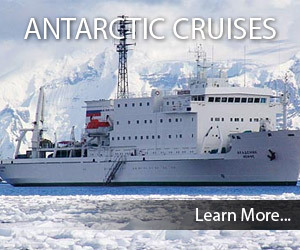 Within 15 minutes Foyn had promised him a ship—a 226-tonne steam whaler named Kap Nor, renamed Antarctic for the voyage. The ship ran aground on a preliminary whaling expedition to New Zealand’s Campbell Island, but sailed from Melbourne Wharf on 26 September 1894, called at Hobart, and set off for Antarctica on 13 October. Her captain was Leonard Kristensen: Bull was on board in the loosely defined role of manager. Bull left the question of the first to step ashore open, but others were not so modest. Carsten Borchgrevink, who was born in Oslo and migrated to Australia when he was 24, was on board as a “generally useful hand.” He claimed to have been a student at Christiania (Oslo) University, and Bull took him on because he could also fill the role of scientist. Bull acknowledged an ulterior motive based on their common background as Norwegian immigrants to Australia: “His family was known to me … and the prospect of a real companion was so cheering that I promised to do my best for him.” However, Borchgrevink’s credentials were not rated highly; Bull added: “It is true we intended to build an extra cabin for … colonial men of science … but the qualifications and letters of introduction brought by Mr Borchgrevink were not such as to warrant … building extra cabins for him.” Nevertheless, Borchgrevink was in the landing party, and subsequently (and repeatedly) claimed that he was first ashore. In one account he stated: “I do not know whether it was the desire to catch the jellyfish (seen in the shallows), or from a strong desire to be the first man to put foot on this terra incognita, but as soon as the order was given to stop pulling the oars, I jumped over the side of the boat.” His claim was disputed by at least two others. In his journal Kristensen wrote: “I was sitting foremost in the boat, and jumped ashore as the boat struck, saying ‘I have then the honor of being the first man who has ever put foot on South Victoria Land.’” The final claimant has considerable merit: in view of the water temperature and shipboard protocol, there is reason to believe New Zealand crewman A. H. F. von Tunzelman, who maintained that he was in the bow and jumped out first to steady it so the captain could disembark. The immediate commercial returns from the voyage were few: it had found no baleen whales, and while Antarctic had been exploring its namesake, its owner, Sven Foyn, had died, so that soon after it returned to Melbourne on 12 March 1895 the ship was instructed to return to Norway. But the expedition is justly remembered in scientific circles, and there is now a Bull Island in the Possession Islands group. 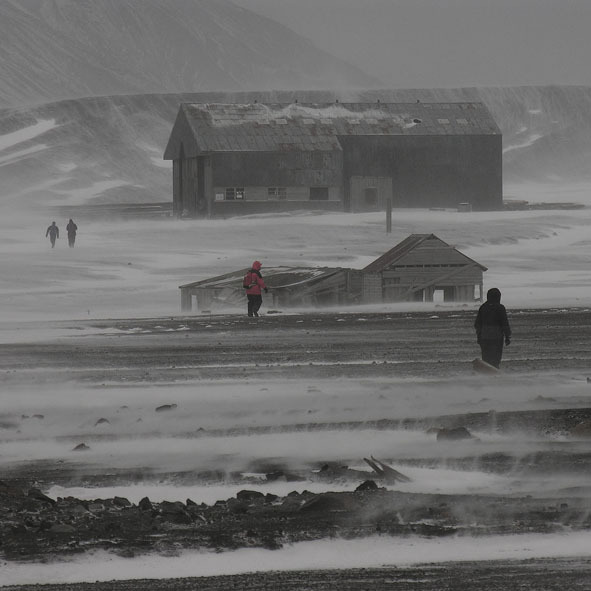 This was where the crew of Antarctic landed and found lichen—the first vegetation ever discovered in Antarctica, an environment previously believed to be too bleak to allow any plant life to survive.